I hope everyone had a fabulous Thanksgiving holiday. I am so thankful for all of the people who have supported me in making this blog, who read me faithfully and enjoy my writing. I am incredibly blessed. This has been a year of change for me, and I'm glad I took the leap and started this...which is something I'd had in the back of my mind for ages but hadn't acted on. Here's to many more books and sassy reviews! 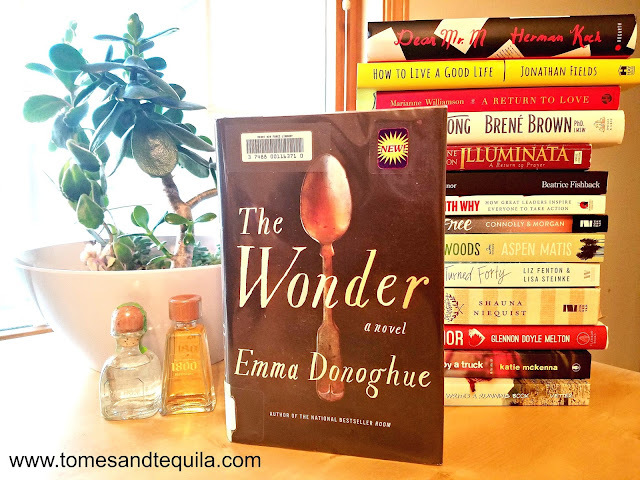 Emma Donoghue's new book The Wonder had been sitting at my house for a while, and I finally got around to reading it over Thanksgiving. I'm not sure why I pick what I do when I do, but for some reason I'd been moving this one farther and farther down the stack...which doesn't really make sense since I enjoyed her previous books Room and Frog Music so much. Once I finally started reading it though I was hooked. 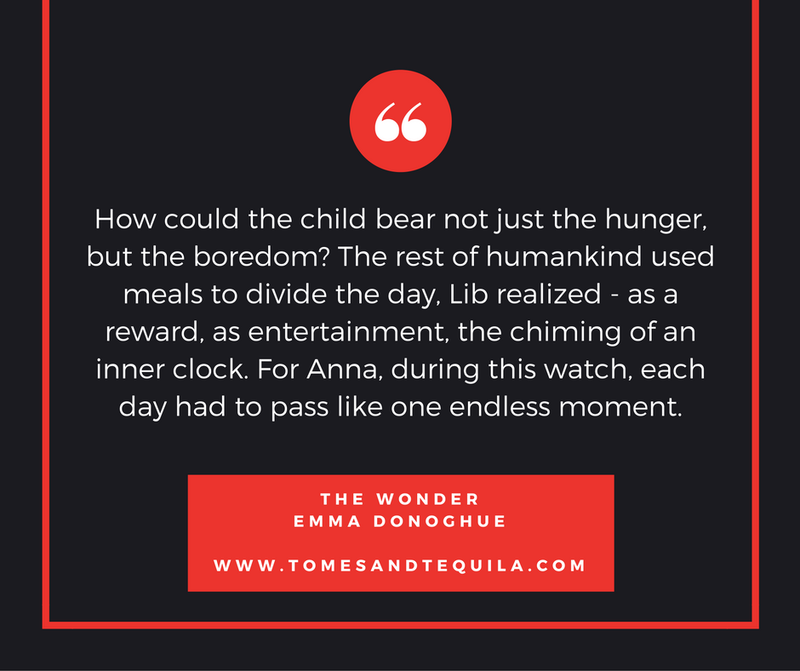 The Wonder tells the story of Anna O'Donnell, an 11 year-old girl living in a small village in Ireland who has become a sensation after appearing to have lived 4 months without food. She believes she is living off manna from heaven. Her local doctor is convinced she is a miracle from God, but others feel she's a scam artist. A committee is formed, and two nurses are hired to watch her non-stop for two weeks to see whether she and her family are being truthful. One is a nun who has worked in nursing throughout her years. The other is a nurse named Lib who was trained by Florence Nightingale during the Crimean War. The story is told through the eyes of Lib. Lib is a new sort-of nurse in a field just coming into it's own. Ostracized from her fellow nurses in London due to what they consider to be her uppity ways, she jumps at the chance to travel to Ireland for a job she knows nothing about. After learning of her duties, she's convinced she will find the girl out as a fraud within hours and be back in metropolitan London and away from the backwards village she finds herself in post haste. Lib is outspoken and believes in science. She finds the Irish people's overwhelming Catholic devotion and superstitious tendencies (fairies anyone?) to be archaic and odd. And yet she becomes attached to the strange little girl she's hired to watch. Anna is an odd little girl. Upon meeting her she appears cheerful and healthy, although a tad small for her age. She is a devout Catholic, who prays with fervor and collects religious cards she keeps in her book of Psalms. And yet she has a very curious mind...loving flowers and nature, and the riddles Lib tells her to keep her occupied. She claims to have no need for food. God gives her everything she needs to survive. So is she a fraud, or a miracle?? I found this book to be incredibly interesting, not to mention intellectually stimulating. I think I have read a lot of light and fluffy books recently, and it was great to read something that really got me thinking. 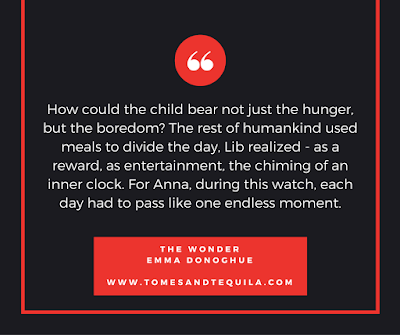 Emma Donoghue was inspired by the real tales of "Fasting Girls" who claimed to live without food between the 16th and 20th century. The amount of research that must've gone into this relatively small novel is mind boggling. From the visually inspiring descriptions of the Irish countryside and bogs, to the medicine of that time frame and historical religious observances. It truly pulled me into the story, the country and the time in history. There will be no spoilers from me, so I'm not going to tell you if Anna is a miracle or a fraud. But I can say that I felt the ending was incredibly satisfying, and I was fully engaged throughout the story. There were a few times I wanted Lib to keep her mouth shut a bit better, and wanted to sit her down and tell her how she might better go about getting others to respond to her counsel. I found it funny when towards the end the Nun who is also watching Anna tells Lib basically what I'd been thinking in my head the entire book! The supporting characters in the story were all there for a reason. They were fleshed out enough to feel that you knew them. I enjoyed the journalist who comes to cover Anna's story for the papers. The conversations between he and Lib were smart and entertaining, and really added to a story heavy on Lib's thoughts and light on other interactions. This would be a great book for anyone who likes historical fiction. At 304 pages it's pretty short for the genre, but there's a lot shoved in the small package. I gave it 4 stars on Goodreads, but I really think it's a 4 1/2. It was thoroughly entertaining, and just what I would expect from the multi-faceted Donoghue. I would definitely add it to your to read pile. Are you a fan of historical fiction? Do you stick to just one time period, or do you like to bounce around to different time periods? 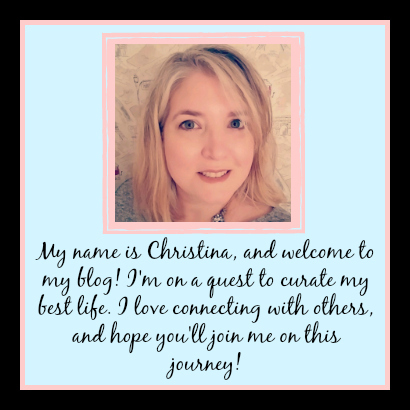 I'd love to hear your thoughts, either in the comments here or over on my Facebook page!